Ah, the Biebs is still working his magic for CNN’s New Day with his selfie tweet with the hashtag #newday. So we can discard New Day’s apparent best day win, unfortunately. 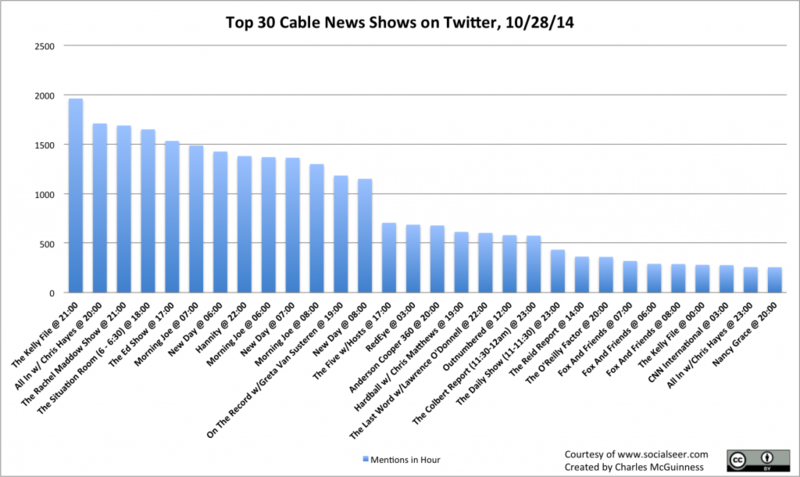 But The Kelly File’s best hour win is solid, an Hannity’s second place for best day really is a win. Charles Barkley was the trending topic in Cable News yesterday, with his comments on african-american society all over Twitter. Sunday was a strong day for Melissa Harris-Perry Show, winning best hour and best day.